As previously covered on Conversion-Uplift, eye tracking is a tool that is becoming increasingly popular for a host of digital marketing issues, including conversion rate optimisation. The original post covered specific eye tracking and facial recognition solutions that have sprung up in recent years. Here we’ll go more in detail on one of the several eye tracking technology solutions that were mentioned in order to take a closer look (no pun intended) at how eye tracking technology can be useful for boosting conversion rates. The software is called iMotions. One of the primary things that sets iMotions apart from other human behavior research solutions is its ability to integrate across various different technology platforms and different data collection methodologies. 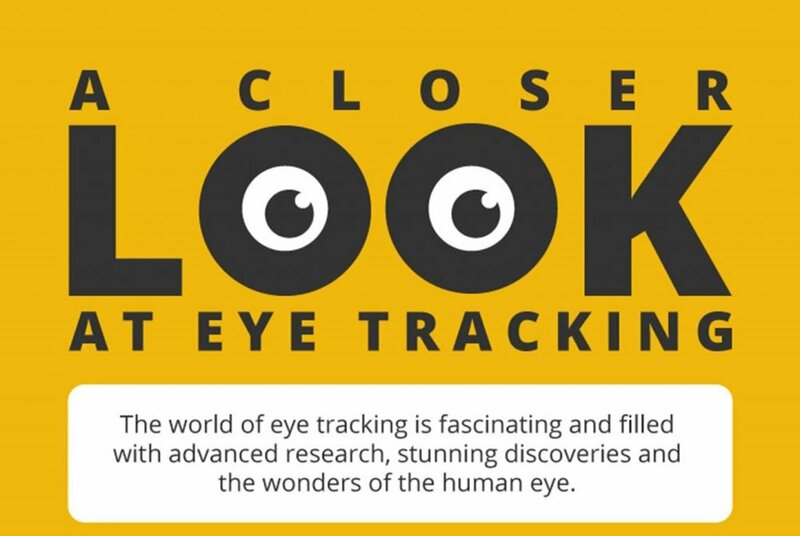 In our previous post on eye tracking solutions, one of the main points that was made is that while the ability to track where an individual’s eyes are moving is very valuable, it is not enough to provide the full picture per se. Even when combined with facial recognition technologies that code for emotional response, eye tracking is not a perfect predictor of sales or of other behavioral outcomes of interest. With iMotions, however, one of the most attractive features is that the technology includes an integrated software platform that allows for simultaneous recording of a variety of different biometric sensors. The iMotions platform specifically covers eye tracking, facial expression analysis, EEG, ECG, EMG, and galvanic skin response (GSR) as primary data collection sources, but it also allows for cross-platform integration with over 50 additional sensors. Additionally, iMotions allows for both mobile and remote use of several of these different biometric sensors. For example, in the image below, you’ll see research participant equipped with multiple different biosensors performing a live, in-store test, presumably for marketing purposes. While the use of EEG and eye tracking are specifically mentioned in the image, the test could just as easily be expanded to include skin conductance or other biosensors. Such a methodology would be even simpler when transferred over to the world of web-based human behavior research. With both mobile and remote tracking, as well as the ability to easily integrate across a variety of different biometric data sensors, iMotions provides researchers the opportunity to perform human behavior research across a variety of different platforms for a variety of different purposes. On the website, iMotions lists applications including human behavior research, neuromarketing, psychology, human-computer interaction, medicine and health, virtual reality, neuroscience, and engineering. Also, as iMotions has headquarters in both Copenhagen, Denmark, and Boston MA, United States, the technology has been utilized in research laboratories across the world. For the purposes of conversion rate optimization, the usefulness of iMotions extends primarily to its ability to provide information that goes above and beyond the eye movements themselves. One of the main themes at Conversion-Uplift is the idea that the consumer is not always aware of what they are feeling and of the psychological forces that are acting on them at any given time. iMotions helpfully simplifies the process of collecting data not only on where an individual is looking and when, but also provides data from sources like facial coding, EEG and skin conductance that give an idea of the individual’s level of arousal and their emotional state when they look in a particular place. In conclusion, among the several options listed in the previous post on eye tracking and facial coding solutions, iMotions is one of only a handful of solutions that has the ability to integrate across various different biometric sensors and give a more holistic picture of consumer decision making. In the ever-expanding toolbox of the digital marketer, iMotions can be a useful tool for answering a variety of different in-house human behavior research questions, including conversion rate optimization and others. For additional information on the iMotions eye tracking capabilities, check out the infographic below. Look for information on the specifics of the human eye, different specs for contemporary eye tracking technologies, as well as some tips for performing effective eye tracking research. Bio: Philip Mahler is the Head of Marketing for iMotions, a biometric research software platform. Philip specializes in software and SaaS marketing and believes data is the key to success and will go to great lengths to find the right insights. In his spare time he will probably be playing with his Rubik’s cube trying to beat the world record. About Conversion Uplift Ltd: We are a digital marketing optimisation consultancy services and have worked for brands such as Deezer.com, Foxybingo.com, Very.co.uk, partypoker.com and Bgo.com. We use a variety of techniques, including web analytics, personas, customer journey analysis and customer feedback to improve a website’s conversion rate. The founder of Conversion Uplift, Neal Cole, has had articles published on website optimisation on CXL and Usabilla.com. As an ex-market research and insight manager he also had posts published on the GreenBook Blog research website. If you wish to contact us please send an email to info@conversion-uplift.co.uk. You can follow us on Twitter @conversionupl, see his LinkedIn profile or connect on Facebook.